Linz was founded by the Romans, who called it Lentia, and it was originally the site of a Roman fort. the Allies which resulted in the cold blooded slaughter of thousands of forcefully "repatriated"
Cossacks to the Soviet Union. were constructed that year, Marienkirche und Petrikirche. 711 years. 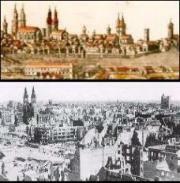 At the end of the 13th century, the Hanseatic League developed along with Lübeck. the French in 1803, who occupied the city. 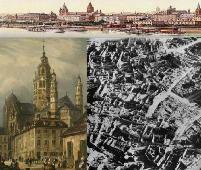 kilograms fell on the medieval city center. shelterless, 300 people were killed and 650 injured. 700,000 cubic meters of rubble were left. demands to bomb it again. Toward end of the war, Lübeck also accepted nearly 100,000 refugees. 1644, its population had fallen to 2,464. It was later rebuilt into a grand cultural center. seized fleeing civilians, buildings, trees and even ignited the tar on the roads. less than 90,000. She was then sentenced to slavery under communism..
flourished under the rule of the Archbishops-electors and the German kings were crowned here. Mainz became the first printing center of Europe under its citizen Johann Gutenberg, 1397-1468.
structure. The cathedral, from 1037, was badly damaged and other churches were lost forever. Much of what had stood for centuries bearing testament to early European history was snuffed out. Elector was built as a palace in the early 18th century. 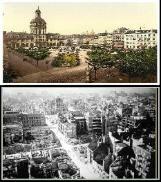 raid which destroyed most of the city took place on September 5 and 6, 1943.
accompanied loss of life. 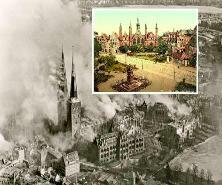 25.181 tons of bombs fell on Mannheim. Ludwigshafen am Rhein is a city in Rhineland-Palatinate located on the Rhine opposite Mannheim. 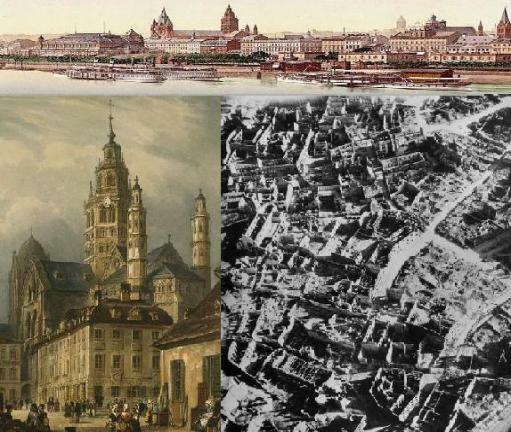 Bavarian King Ludwig I renamed it and began construction of city to rival Mannheim. raids during the war, of which only 56 were aimed at the main factories, including the Farben plant. 2.5 million 4-pound magnesium incendiary bombs.